Our academy works to identify talented young footballers and support them towards reaching their full potential through dedicated coaching, outstanding facilities and the opportunity to compete in prestigious tournaments. 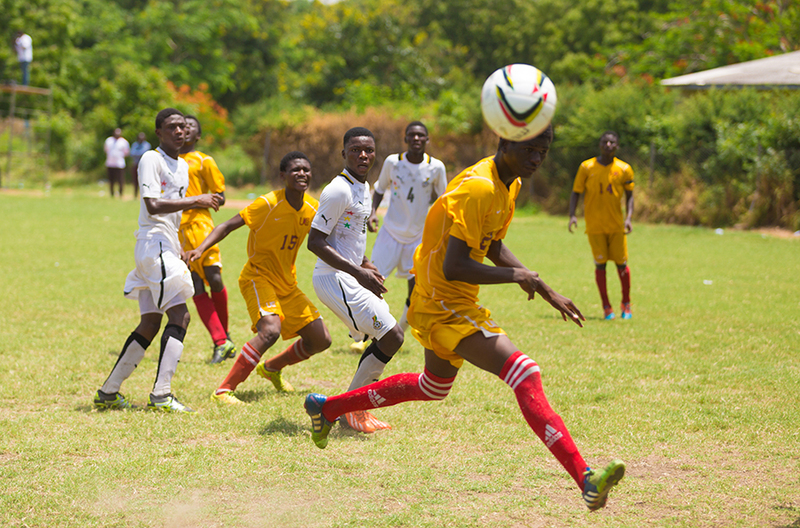 Having established the academy in 2013, we currently provide dedicated football coaching to around 52 young Ghanaian, who are supported on a scholarship basis having been identified as exceptionally talents footballers. Our first generation of 26 players were selected through a recruitment programme held for over 1,000 aspiring young footballers in 2013, inviting young boys who had been extensively scouted across the country. Our players span the U11-U17 age categories and regularly compete in local, national and regional tournaments and fixtures against other academies, winning the Right to Dream U11 tournament in 2014 and finishing runners-up in the J2A U17 tournament in Benin in 2015. One of our main sporting aims is to secure professional futures for our most talented and dedicated players and to date we have been able to take several players for trials with a number of professional clubs in the UK. This has proven a valuable experience for the young boys, offering them the chance to learn more about different cultures as well as the professional standards and mentality required to fulfill their dreams. In 2015, we completed the construction of Ghana’s first 4G artificial pitch for our academy players to train and play matches on, providing them with a playing surface exceeding the standard of all others in the country. At present, we also have plans underway to develop first-class infrastructure including changing rooms and medical facilities on-site. Supported by a dedicated team of full-time staff and volunteers, our academy players receive high-quality training from qualified coaching on a daily basis, specifically tailored to their individual development and aligned with supporting services such as physiotherapy and sports psychology.